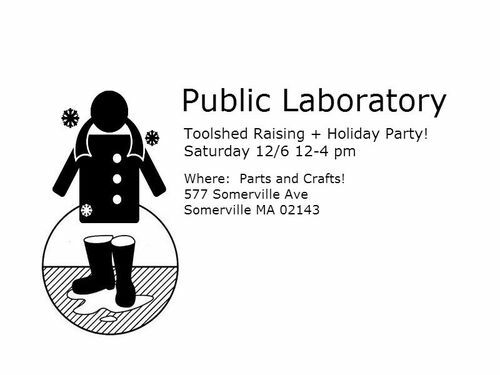 Also, this will serve as a super awesome Public Lab Holiday Party! Think: ugly sweaters, tinsel, abominable snowmen, snowflakes, elves, and other multi-denominational things. 1) Saturday Open Shop: 12-2 pm: Open shop is a free public event we run every week @ Parts and Crafts. This week it's going to be a crash course "intro to the toolst"." Do you want to build a coqui with me? --- Not sure what a coqui is or why you might want to use it? Come by and find out! 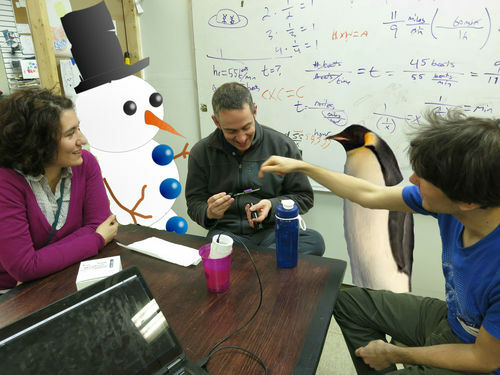 DIY spectrometers, thermal cameras, balloon/kite mapping stuff and more -- with staff on hand to explain how things work. 2) Show and tell: 2-3 pm: Lightning Talks! Tell us about what you're working on right now! Jeff and R.J. and Dogi are going to give us a run-down on some current projects in air quality monitoring. Got a project you want to share? Tell us what you're working on! Get feedback, share ideas, find out more about cool projects coming down the pipe. 3) Holiday Party! 3-4 pm. Eat, drink, and be merry! 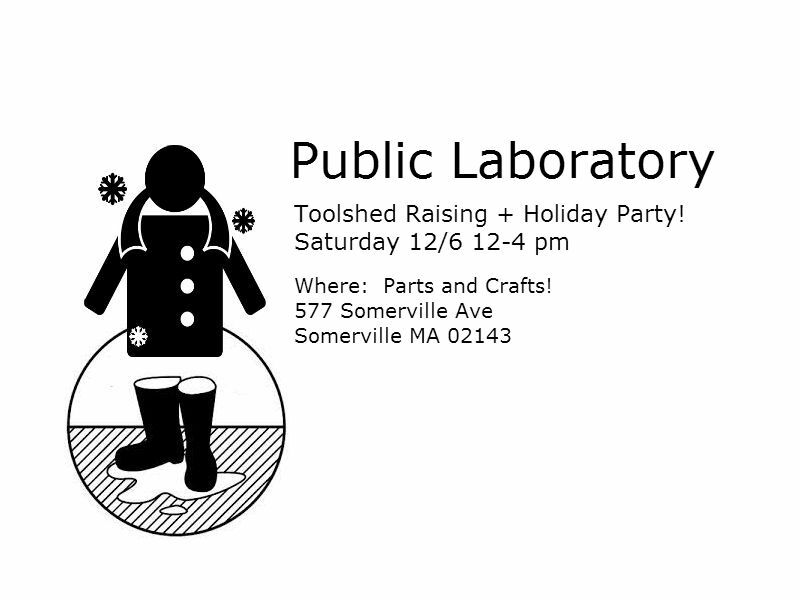 Also a great opportunity for mingling and getting to know the Boston Public Lab community. Interested in finding "that person" to talk to to get your air quality question answered? Have a cool project to share? Want to hang out and build on stuff? This is your window. Seed pizza provided by Parts and Crafts, bring a dish to share! 3-4 pm or however long people want to hang out. Kids are welcome to join --- P&C is a workshop space for kids so there will be plenty for them to do. There may also be a mini-sized honk band rehearsing for some portion of the open hack session. music provided! If you have young ones and want to bring them, please do! Jen - have you or anyone else applied for Rackspace funds for this? Jeff -- Not yet, but I'm planning to! Haha - ok I see - each time I click the link it adds a comment but takes me to a broken page. I guess I am attending 4 times! Go me!